This breathtaking floral prom cocktail dress featured with illusion neckline, floral prints on the dress and fitted bodice will definitely brings you into a fantastic look. 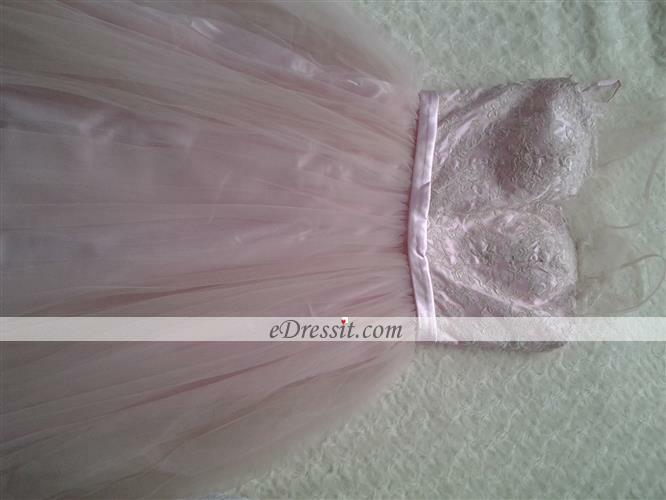 The illusion neck and back accent the feminine look on this dress. The fluffy skirt reveals mush vigour out of it. You would be rather flavor graceful with this gorgeous dress. Any questions on Illusion Neckline Floral Cocktail Party Dress (X01150147-1) , welcome to contact us! Amazing dress, as always. Recommend! Das Preisverhältnis war sehr gut. Nur ich wusste nicht wie man den Ring reinsetzt. Juste aujourd'hui, jai reçu ma robe. Je suis ravi une fois de plus. Tout comme a la photo est cette robe. Magnifiquement adapté pour ma mesure avec un bon tissu de qualité. Merci beaucoup edressit. De ma commande elle est arrivé pour deux jours. Pour les dames : toujours commandés le numero suivant de votre taille et vous ne vous tromperez jamais! This dress is heavier than thought. The fabric stands well and comfortable. 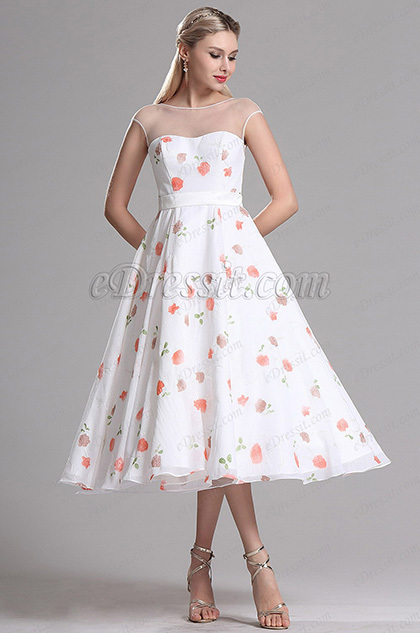 So classic and elegant floral party dress. It suits many occasions. Lovely. Perfect dress! Very nice throughout the waist and bodice! Heavy good quality fabric, bright color with beautiful flower prints. Dress flares on with petticoat under skirt! Very lovely dress. Would buy again!! Très belle robe. Conforme à la description. Joli aspectTrès satisfaite de mon achat. This is my first order with this company. The dress is unbelievable. Great style, great fit and great price. True to size and the dress is the exact vintage inspired design. Very attractive with simple earnings and necklace. Perfect for a summer wedding. Five stars shipping. i would give you 5 stars.I was unbelievably impressed with the promptness of the delivery. The actual quality of the dress was astounding. Thank you very much for the dress. Its beautiful just like on the picture. It fit me perfect. Thank you for a fast delivery. You made my wedding happy. Ill recomend all my friends your site, Thank you eDressit ! très très belle et identique à la photo.